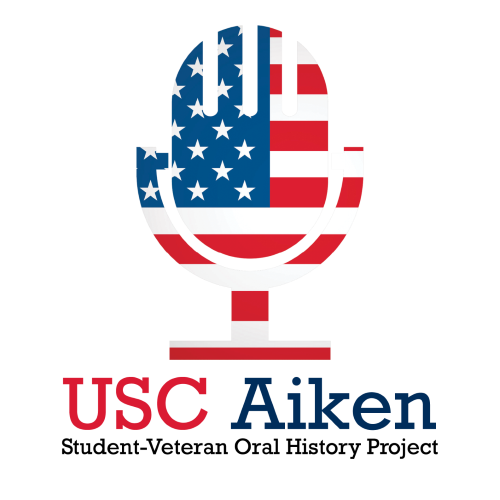 The narrator is a student veteran at the USC Aiken and agreed to share his personal experiences. The interview begins with a recollection of the narrator's childhood, hometown, and personal relationships with his parents. He then goes into detail about his high school experiences and how his high school ROTC instructor influenced him to join the military. He then leads into a recount of his time at the Naval Station in Great Lakes, Michigan, and his other military units and stories. The narrator shares very detailed descriptions of his different training and how it affected him personally. We then entered into the topic of his retirement and how he wanted to be home with his family and be able to watch over his grandchildren while his children carried out their own military deployments. When asked about his experiences as a veteran at USC Aiken, he replied that USCA is a terrific place to be a student veteran and spoke briefly of the different programs that veterans can get involved in, since he is the Vice President of the Student Veteran's Organization at USCA. To wrap up the interview, the narrator talked of his future plans of being a history teacher at Silver Bluff High School because he wants to "Warp the minds of the future."